I have asp.net mvc web api 2 url. 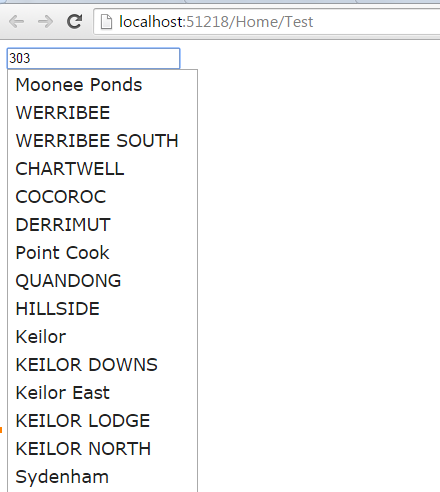 I need to use that web API data integrate to PHP application search and data(postcode display list) auto complete. These below my jQuery and PHP search page code, but it is not working for me. Please tell me why was that? This is asp.net mvc web api 2 JSON return values. Not the answer you're looking for? Browse other questions tagged php jquery json or ask your own question. How to pass json POST data to Web API method as an object? How to converting postcode to lat/long using Google Maps API with PHP?